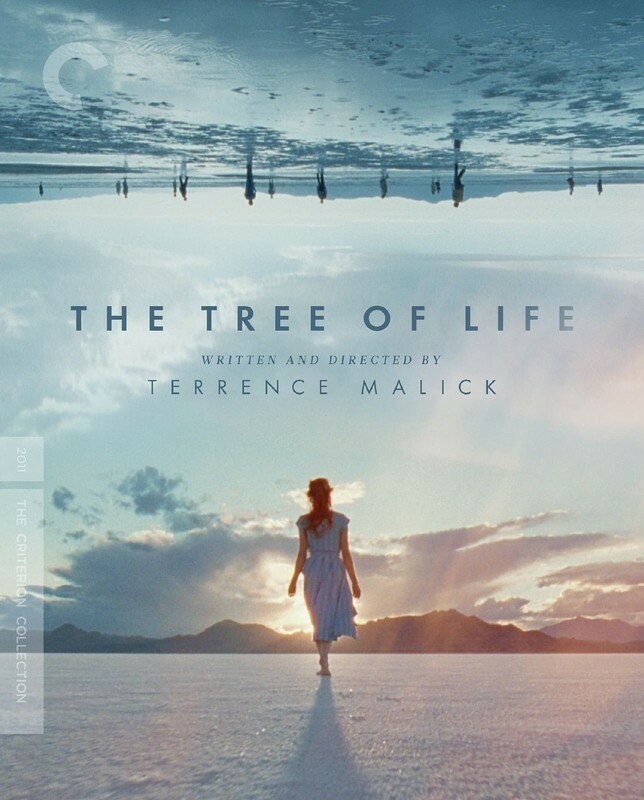 Following the premiere of a new extended cut of the film at the Venice Film Festival, the Criterion Collection has released Terrence Malick’s “The Tree of Life” on a Blu-ray with a new 4K digital transfer, 5.1 surround DTS-HD Master Audio, and fascinating extras, including a printed essay by Roger Ebert and a video essay by our very own Matt Zoller Seitz. The film itself remains divisive—someone on Twitter tried to use it as a film that critics pretend to like just this week—but it remains a masterpiece in my eyes, only growing in power with repeat viewings, and gaining emotional strength as I have raised three boys of my own this decade. It’s a film I respond to like none other from this era—the real world falls away as I watch it, and I return to it only when it’s over. In an age of increasing distraction, “The Tree of Life” has a nearly religious impact on me, something in which I can immerse myself and find beauty and truth within it. There's no other movie like it. The reason Malick’s personal masterpiece continues to divide people is simple—he asks a great deal of the viewer. Some people, even critics, don’t think what he asks for is worth giving, but Malick wants you to participate, and not just intellectually but emotionally. What does this mean? How does this make me feel? What does this make me think of in my own life? The new era of Malick sees cinema as more of a sermon than a passive experience. Like a great church service, you won’t get anything out of his films unless you submit to an ineffable connection that inspires both critical insight and barely perceptible emotion. His films of the ‘10s have been about a very personal search for meaning. He looks for it in his family in “The Tree of Life,” in religion in “To the Wonder,” in excess in “Knight of Cups,” and in relationships in “Song to Song.” “The Tree of Life” remains the best of his recently prolific output and the Criterion release places it on the appropriate pedestal, even offering a whole new cut of the masterpiece that offers a deeper take without losing much of the original’s power. By the now the story of “The Tree of Life” is well-known but a bit of background seems appropriate. For decades, as far back his work on Great Movie “Days of Heaven,” Malick talked about making a film about the history of the universe. Yes, “The Tree of Life” actually sprouted from its infamous sequence in which Malick attempts to capture creation and evolution in visuals, somehow finding a way to merge the religious and the scientific, and even include CGI dinosaurs. Known for years under the codename “Q,” Malick could never quite figure out the second half of the film, only cracking it when he decided to use his own Texas upbringing as the foundation of the story. 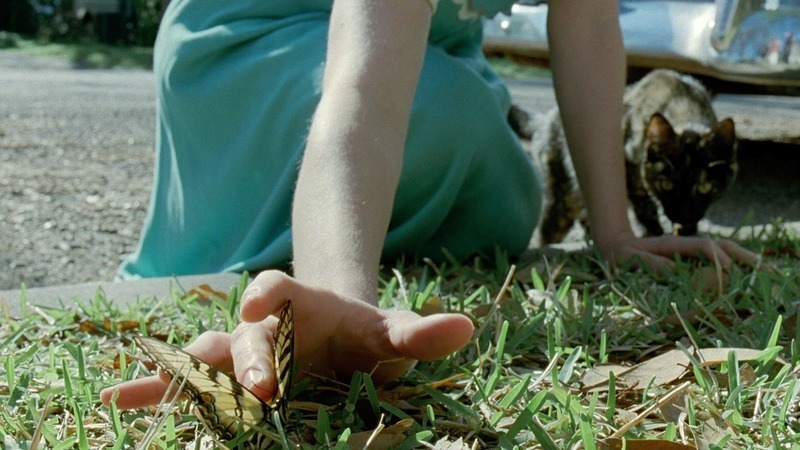 In doing so, Malick unlocks the magic of “The Tree of Life” in the way it illustrates the perspective we all have on our background and how it shaped us—we are created by it as much as the universe was created by the big bang. Everyone's personal CGI dinosaur is different. “The Tree of Life” is a visual masterpiece, (shot by Emmanuel Lubezki, who would win three Oscars for Cinematography after this but bafflingly lose this one to "Hugo") and has never looked better than it does on this Blu-ray. 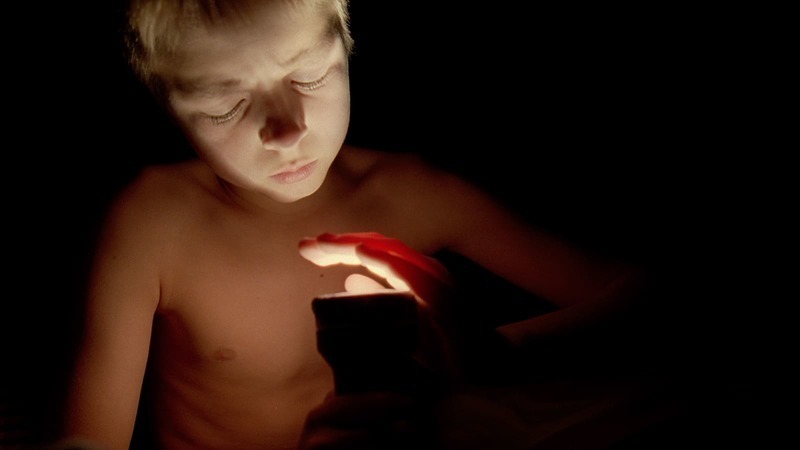 Much has been written about how Malick seeks to find that “magic moment” when he’s making a film, only really knowing if he got it when he’s editing. He got so many of those moments here, from the butterfly that lands on Jessica Chastain’s wrist to the light streaming through a stained glass cinema to the framing of a father touching his new son’s foot for the first time—the film is so full of remarkable imagery that it’s emotionally overwhelming at times. I’ve long been a proponent of films that only work as films—not merely faithful adaptations of books or filmed plays, for example—and “The Tree of Life” understands visual language as well as any movie of the last decade. And it uses those striking images to ask the truly big questions. How do we grieve? How do we remember? How do we live? And what role does God play in all of this? “The Tree of Life” was a pretty substantial 139 minutes on its initial release, but the new cut, which is not being billed as a director’s cut even though Malick oversaw it, is 50 minutes longer. Believe it or not, it feels a bit more conventional in the three-hour length as most of the new footage fills in some of the background of Jack’s family, almost making the movie into more of a traditional flashback story. There’s a fascinating early sequence with Sean Penn’s Jack that offers a bit more of an explanation as to why he would look to memory for stability—and feels almost like an early take on “Knight of Cups” with its multiple partners, chaos in the streets, etc.—but most of the new footage is in the center of the film. Some parts feel like extended versions of stuff from the original, but it’s actually Brad Pitt’s Father and Jessica Chastain’s Mother who get the most fleshing out. We even learn more about their upbringings, which plays into Malick’s cinematic representations of life's cyclical nature. Perhaps the best thing about the Extended Cut is how richly it deepens Pitt and Chastain’s work, which may be the best performances of their careers. Clearly, it’s a must-see for film fans, but I prefer the original if I had to pick. The theatrical cut is pure cinematic poetry; the extended, while also absolutely phenomenal, is closer to prose. The Blu-ray from Criterion contains some excellent special features, but I may be a bit biased in claiming that a 2011 video essay from Matt Zoller Seitz and Serena Bramble done for the Museum of the Moving Image is my favorite. The printed essays by Roger Ebert and Kent Jones are two of the best from Criterion all year. And a 2011 documentary called “Exploring The Tree of Life” is included, which offers insight into why the film is such a masterpiece from Christopher Nolan and David Fincher, as well as interviews with many of the major players, including Pitt and Chastain. Criterion also provides a new interview with Chastain and senior visual effects supervisor Dan Glass; a new interview with critic Alex Ross about Malick’s use of classic music; and a new video essay by critic Benjamin B about the film’s cinematography and style, featuring audio interviews with Lubezki, production designer Jack Fisk, and other crew members. We’re just about a year away from the impassioned conversations about the best films of the ‘10s. The Criterion release of “The Tree of Life” only deepens my belief that this is one of them.